On Saturday, September 17th The Buffalo Hiking Group will be venturing down to one of our areas most unique treasures, Panama Rocks. 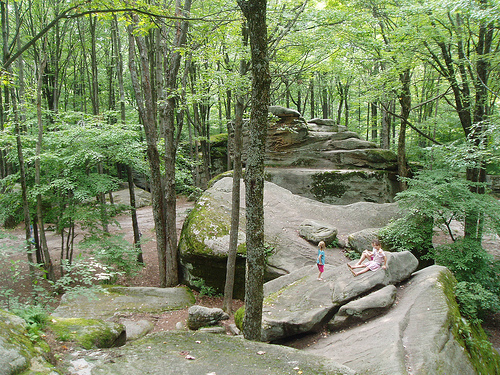 Located in Chautauqua County, Panama Rocks is a park that has been in operation for many decades. This neat place has various types of rock formations cut out of the earth by glaciers that once covered all of Western New York. The Panama Rocks extend about half a mile and consist of twelve acres of an erupted, Paleozoic seashore originating over 300 million years ago. It is a ridge of Quartz Conglomerate Rock, which was carved and shaped by a glacier, and is all set amid an ancient forest. 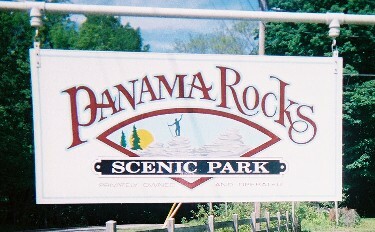 We will meet at Panama Rocks at 11am and spend a few hours hiking the area and taking in this wonder of nature. We’ll plan on leaving around 3pm. They don’t permit dogs so please leave your pets at home. Plan on packing for a picnic lunch as they do have a picnic area with tables for us to be able to sit down and enjoy a nice lunch. I figure we will sit down for lunch about 1pm. Bring water as always but please use non-disposable containers as they don’t allow disposables to keep the litter down and help the environment. This place is very scenic so feel free to bring your cameras to take some really cool pictures. Since this is quite a drive it is highly suggested that people carpool for this event. I will set up an thread on the message board so you can arrange carpools. If we get more than 20 people we get the group rate of $6 each so make sure you register. Want to join in the fun? It’s easy! Sign up for your Annual Membership today by CLICKING HERE!